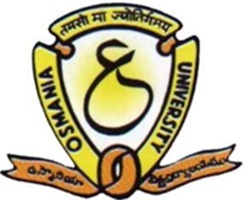 OU Degree Notification 2019: Osmania University has released UG (BA/B.Com/B.Sc/BBA/BSW) Semester Regular and Backlog Examinations Apr-May-2019. OU Degree Notification For BA, B.Com, B.Sc, BBA, BSW 2nd, 4th, 6th Semester Regular/Backlog Examinations and 1st, 3rd, 5th Semester Backlog Examinations April 2019. B.A/B.Com./B.Sc./B.B.A./B.S.W. (CBCS) Semester-VI (Regular) & Semester II & IV (Reg & Backlog) Semester I , III and V (Backlog) Examinations – 2019. It is hereby notified to all the eligible VI Semester(Regular), II & IV Semester (Regular &Backlog) enrolled during the academic year 2018-2019 and Semester I, III & V (Backlog) candidates of B.A /B.S.W / B.Sc / B.Com(Gen&Computers)/B.Com(Hon),the following is the schedule for the payment of examination fee and submission of the examination application forms (EAF) at their respective colleges. The online EAF College logins will be closed by 30.04.2019 by 05.00 P.M. The late fee amount will be levied automatically in case the fee is not remitted to the O.U. A/c and if forms are not submitted as per the above schedule. “Principals are requested not to forward/submit the EAF of not eligible candidates to the Exam Branch. The results of not eligible candidates will be cancelled at any stage, if they also write the examination.”. It is informed to the principals of all UG colleges that not to direct students to the Examination Branch, O.U for late fee, otherwise disciplinary action will be initiated. There is no backlog examination conducted during the odd semester examinations. Sub: B.A./ B.Com./B.Sc./ B.B.A & B.S.W CBCS Semester –VI (Regular), II & IV(Reg&Balg) and I, III & V (Backlog) Examinations – 2019– Reg.